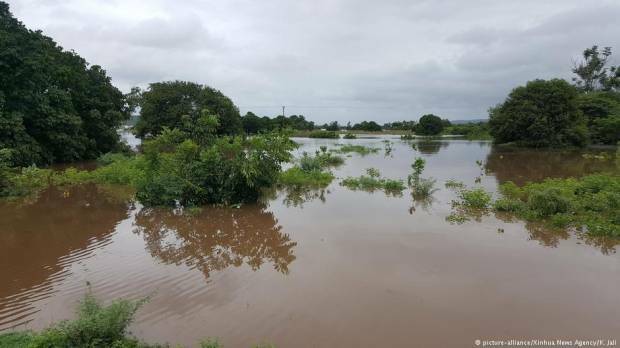 Power cables were downed and communications severed by heavy rain and winds of up to 170 kilometers an hour (105 miles an hour) Friday in the port city Beira as cyclone Idai made landfall in Mozambique. About 530,000 residents were cut off in the storm, which saw pylons felled, houses destroyed and seven schools losing their roofs. While officials said five people were injured in the latest onslaught, recent flooding brought destruction to Mozambique, Malawi and South Africa, killing 126. In Mozambique alone, 66 died, 111 were injured and 17,000 people were displaced. The low lying city of Beira was the worst hit by Friday’s cyclone with Chinde to the north also taking a beating and communications with other villages along the coast severed by a two-meter (6.5 feet) storm surge. The World Food Programme said it would deliver 20 tons of emergency food aid to stranded communities by boat and helicopter. Idai is expected to weaken as it moves inland but would still bring further flash flooding. Heavy rains have inundated the region over the past week, affecting more than one million people according to officials. Authorities in Malawi have opened emergency relief camps after President Peter Mutharika declared a national emergency. Cyclone Eline smashed Mozambique in February 2000, compounding further floods, killing 350 and leaving 650,000 homeless.